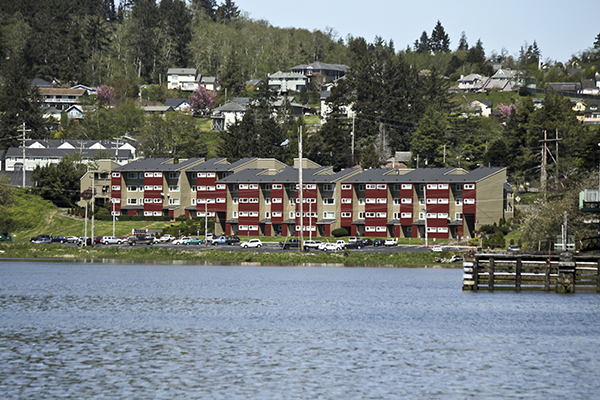 The Bayshore is a nearly new community in Oregon's coastal community of Astoria. Few apartment options exist in Astoria and the Bayshore is located immediately on the coastal shore. Units feature new fixtures, appliances along with other upgrades. The Bayshore consists of smaller apartment units than is typical in the area. Local investors are familiar with the town's economy--which is well-balanced between the Port of Astoria and tourism--but attracting the attention of institutional investors might prove difficult. By leveraging the HFO database of active buyers, our broker team was able to source multiple parties interested in the asset. High activity surrounding the listing allowed the seller to obtain favorable terms from a local buyer in a 1031 exchange.